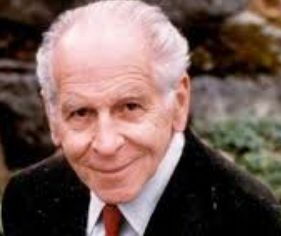 You always got the impression with Thomas Szasz that had he lived to the age of 1000 or 100,000 he still would not have changed his mind one bit. There is something slightly unsettling about this, as it suggests a fanatical or absolutist position that does not sit easily in our post-modern age. Nietzsche wrote that the snake that cannot shed its skin perishes. Szasz would seem to be a prime counter-example. For him, freedom of the mind and personal responsibility were absolutes beyond any compromise. Derived from the natural sciences, when medicine and its methods impose a causal, deterministic structure onto human behaviour so that we ‘mechanomorphise’ or ‘thingify’ persons and thereby come to see man as ‘a defective machine’, then “individual freedom, Western man’s most cherished value, becomes a ‘denial of reality’, a veritable ‘psychotic delusion’ to endow man with a grandeur he does not in fact possess” (Szasz, 1973, p.11). While many may welcome such a position, so as to defend us from the increasing medicalisation of what were traditionally seen as moral problems (for example, addictions), few would be willing to take it as far as did Szasz. If you feel that you are being controlled by voices in your head, Szasz would dismiss this as a disowned self-conversation; if you feel that your thoughts are being broadcast through television sets, Szasz would dismiss this as a stubborn error or a lie. Symptoms like these are created by patients and can be stopped by them, says Szasz (Schaler, 2004, p.324). As for the anti-capitalist leanings favoured by Asylum magazine, Szasz would surely be amongst the least sympathetic of all psychiatrists. In fact, for the psychiatric critic to cite Szasz’s ‘myth of mental illness’ slogan whilst also railing against the ways in which capitalism undermines our autonomy and mental well-being is, in no small way, I would contend, to have one’s cake and eat it. Or at least to ignore everything that Szasz actually meant when he made this famous statement back in 1960. One of the ironies of Szasz’s position is that it may actually precipitate the need for sufferers to obtain an illness label, and so to view their experiences as ‘just like diabetes’ (Arpaly, 2005) simply in order to convince those around them that their suffering is not simply a wilful, perverse charade. This desperate need to have one’s problems recognised as in some way ‘real’ was of little concern to Szasz’s ideological project. He thrived on rather simplistic binary oppositions (e.g., mind vs. body; mental illness vs. physical illness; natural science vs. human science, and so on). These are totally insufficient for navigating the extremely complex world of mental distress, for example, the extent to which certain behaviours are intentional, meaningful, rational, and so on. Of course as a polemicist, subtlety was never going to be at the heart of his position. Someone like Szasz always needs to exist – to push an extreme, uncompromising line of thinking against which actual lived realities can be negotiated. He was, and remains, an important thinker. His is seen as a no nonsense, no excuses approach. No excuses, for sure – but also no sympathy. My concern remains that the lived realities of the psychiatric patients about whom Szasz was writing seemed far less relevant to him than those more abstract notions of freedom and responsibility which it was his life’s work to defend. As the empire of biological psychiatry continues to crumble, we can be sure that Szaszian questions around agency, autonomy and responsibility in psychiatry will come increasingly to the forefront of our thinking, but perhaps, one hopes, in a more sensitive and nuanced way. A good example of this is the work of the philosopher and therapist, Hanna Pickard (see, for example, Pearce & Pickard, 2010). Psychiatry, for all its endless controversies, seems an inappropriate field for a polemicist, even one as skilful as Szasz. Arpaly, N. (2005). How it is not ‘just like diabetes’: Mental disorders and the moral psychologist. Philosophical Issues, 15(1), 282–98. Pearce, S. & Pickard, H. (2010). Finding the will to recover: philosophical perspectives on agency and the sick role. Journal of Medical Ethics, 36, 831–3. Schaler, J. A. (Ed.). (2004). Szasz under Fire: The Psychiatric Abolitionist Faces His Critics. Chicago: Open Court. Szasz, T. S. (1973). Ideology and Insanity: Essays on the Psychiatric Dehumanization of Man. London: Marion Boyars.